It’s a fresh New Year and the perfect time to refresh our daily routines, courtesy of innovations in the consumer goods sector. With this in mind, here are an array of tried-and-true lifestyle enhancers and problem solvers that’ll help ensure a great year ahead. Kami is a brand offering an economical and complete AI-featured home security system. Mount the camera on a surface or on the ceiling, and it’ll give you more control over what you want to see in your room. In fact, its 360-degree rotation gives you an entire room’s view from one location. There are also sophisticated algorithms that allow for smarter alerts. With AI-based detection of humans, pets and abnormal sound, you only get alerted when it actually matters. You can also turn on privacy mode to temporarily disable the camera. Eyelid design makes it easy to know when you’re being recorded. 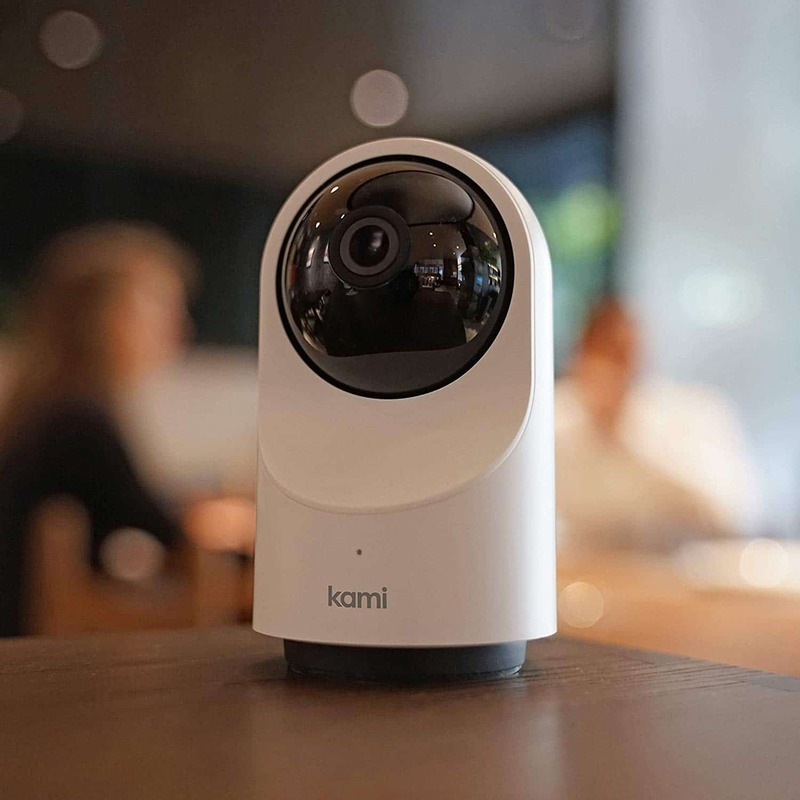 Kami Home relies on Microsoft Azure to protect your data with the same level of security and privacy that protects millions of businesses around the world. It surpasses the highest U.S. and European data privacy requirements. There’s also a Kami Home App for iOS and Android which lets you check-in anytime, from anywhere. Access Kami Cloud, live view, adjust privacy settings, communicate over two-way audio and much more. From plain white to the elegance of natural hardwoods, Giani Wood Look paint will make your garage door look like wood and upgrade your home’s appeal in as quickly as a single morning. In fact, the paint kit is a simple, two-step application that will transform smooth, embossed, flat or raised panel metal doors in just three hours. Each kit contains the tools to cover 180 square feet of surface, which is the typical size of most two car garage doors. And, there is no need to prime prior to applying Giani Wood Look as its unique water based safe system contains a Wood Tone Base Coat that will typically cover in one application. Plus, the specially formulated Wood Grain Finish completes the total wood transformation of your garage door. But, why stop there when you can also transform your countertops and get the kitchen you’ve dreamed of without the mess, time or cost of replacement? Giani Countertop Paint is a simple, three-step application that will transform formica, laminate, corian, ceramic tile and cultured marble in a single weekend. Each kit contains all tools to cover 35 square feet, which is the average amount of countertop area in a kitchen. The granite paint comes in five granite shades, is water-based, safe and low odor. Its specialized primer hides existing discoloration and minor scratches, while its mineral colors create the characteristics of natural granite. The acrylic topcoat provides maximum protection as well. Want to give your appliances an upgrade? Don’t switch out seemingly outdated appliances that still work but, instead, keep your functional machines and just improve their look with paint. Giani’s Liquid Stainless Steel is a single-day makeover process that will transform existing refrigerators, ovens and dishwashers, coffee makers and more with the bright, clean look of stainless steel. Liquid Stainless is a micro-metal technology made with real stainless steel. It’s a simple brush and roll-on application that will cover most common appliances in three easy coats, and dries to a brushed, metallic finish. The kit contains all tools to cover 19 square feet. Liquid Stainless is water-based, safe and low odor. It hides existing discoloration and minor scratches, while a clear acrylic topcoat provides maximum protection and is smudge free. It’s the perfect resolution to make those older appliances look fresh and fabulous! For the tech-friendly household, Hunter Fan Company’s line of SIMPLEconnect smart fans are a stellar choice, with each providing connectivity with Apple HomeKit, Amazon Alexa and Google Home. One way to step into a more connected home is with the Symphony ceiling fan model. This modern smart fan works with an integrated remote control as well as home automation applications. With graceful, sweeping blades, elegant lines and a glossy finish, the Symphony is a soft modern masterpiece perfect for large indoor living spaces. Symphony’s Exclusive SureSpeed guarantee delivers high-velocity gusts with airflow optimized for ultimate high-speed cooling. The blade pitch is also adjusted to ensure ideal air movement and peak performance at all times. It includes dimmable bulbs to give you complete control of the light output and create the ideal ambiance in your room. Plus, its reversible four-speed WhisperWind motor delivers ultra-powerful air movement with whisper-quiet performance so you get the cooling power you want without the noise you don’t. If you’re looking to change up your breakfast or snack game this New Year, this fab foodie brand surely will get you on the right track. WaffleWaffle goes beyond the average breakfast with all-natural, Belgian-style waffles that are flavor-forward. The grab-n-fo WaffleWaffle’s come in various flavors so you can mix it up and satisfy your changing cravings, These include Cinnamon Roll, Buttery Vanilla and Buttery Maple. The company also makes more traditional flavors like the Original or Chocolate Chip, There’s even Birthday Cake! If you want to get a little sweeter you can get try their Red Velvet, Double Chocolate or Chocolate Cocoa varieties. Enjoy them on-the-go or go ahead and pile them high with your favorite toppings. I also like that every WaffleWaffle is made using the highly sustainable practices and energy efficient methods. As well, all products and packaging are made using wholesome ingredients, renewable resources and wind power. Stop the sniffles all year through! You can prevent the cold and flu, and indoor and outdoor allergies, with NasalGuard. With a mild electrostatic charge, this topical gel reduces inhalation of particles as small as rhinovirus, pet dander or pollen, along with many other airborne pollutants, contaminants and allergens. The electrostatic technology creates an invisible filter around the outside of your nasal passages. A pin-sized couple of drops of NasalGuard restricts thousands of fine and ultrafine particles from entering your system for up to six hours by either attracting the particles to stick to the gel rather than being inhaled, or by repelling the particles away from your nose in the first place. Plus, it is drug-free and lasts up to 150 applications. As the leader in particle-blocking electrostatic technology, NasalGuard has sold over 12 million units worldwide. It’s a great way to avoid airborne illness.